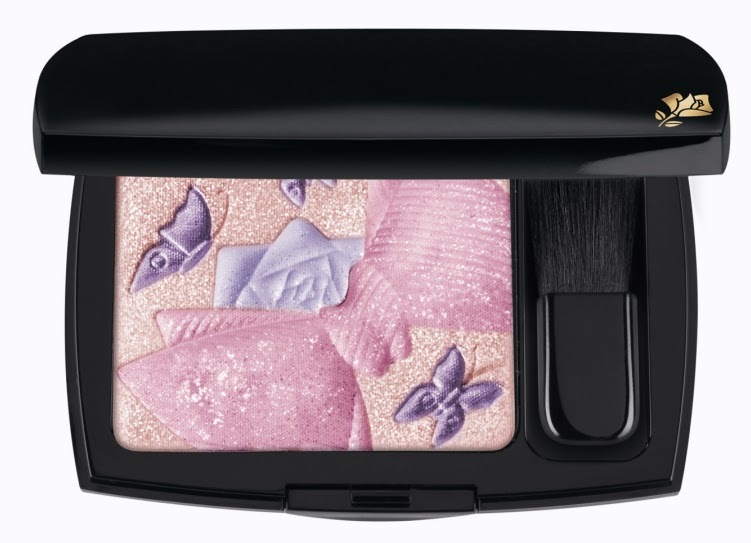 Sometimes, pictures can talk better than words – so, need I say anything more about this gorgeously feminine face palette from Lancôme’s Ultra Lavande Spring Collection 2011? The limited edition star product, created by Aaron de May, is a combination of flirty colours (pink, lavender, violet and peach, which can be used to brighten, and highlight) and a new twist on ’70s art. The latter comes in through two of the era’s most universal emblems: The butterfly, which is a symbol of nature and free, pure femininity; and the bow tie, the must-have ’70s dandy accessory. Added bonus: It is created mostly out of 86% mineral powders, for a sheer and breezy look. A definite thumbs up to this one!